Jason Van Dyke, the Chicago police officer convicted of murder for firing 16 shots at Laquan McDonald in 2014, was sentenced Friday to 81 months in prison and two years of mandatory supervised release. "This is not pleasant and this is not easy," Cook County Judge Vincent Gaughan said. "I certainly have to take into consideration all the feelings. It’s just so senseless that these acts occur and you can see the pain on both sides." In October, a jury found Van Dyke guilty of second-degree murder and 16 counts of aggravated battery. However, they did not find him guilty of official misconduct. 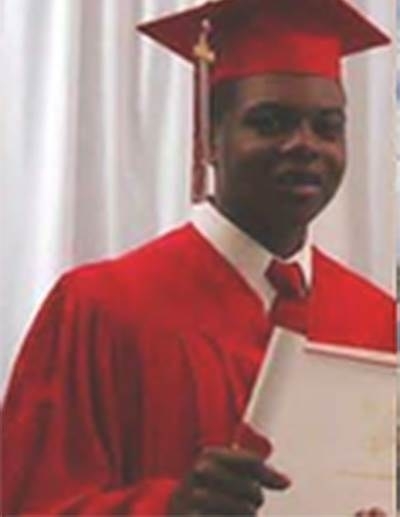 The case garnered national attention when, in 2015, police dashcam video showed Van Dyke firing round after round at the teen, who was seen armed with a knife. Shots continued after McDonald fell to the ground and did not appear to be moving. Chicago Mayor Rahm Emanuel and Police Superintendent Eddie Johnson issued a joint statement on the sentence, saying more work remained to reform the police department. "While a jury and judge have rendered their decisions, all of us who love Chicago and call this city home must continue to work together, listen to each other, and repair relationships that will make Chicago safer and stronger for generations to come," they said. Outside the courthouse, however, Rev. Martin Hunter, Laquan’s great uncle, said the sentence treats the teen like a “second class citizen. However, Hunter said said the case does represent a victory for families across the country who have never gotten justice. Activist William Calloway said Van Dyke deserves to spend the rest of life behind bars. "It’s a slap in the face for us and a slap on the wrist for him," he said. Before handing out his sentence, the judge heard from a number of witnesses for the prosecution and the defense, including the officer's own 17-year-old daughter. Wearing yellow prison-issued clothes, Van Dyke told the court that Oct. 20, 2013 "will always be the worst day of my life," saying that he tried to make the right decision in a radically escalating situation. "I will have to live with this for the rest of my life, taking it to my grave," he said. 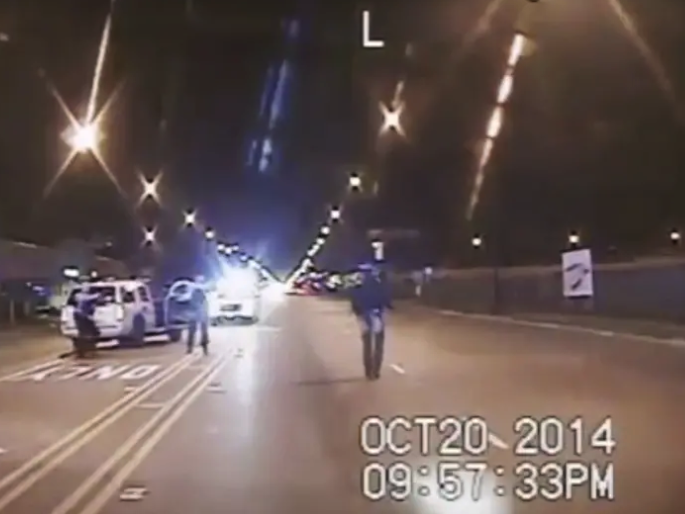 “The last thing I wanted to do was to shoot Laquan McDonald." Witnesses for the prosecution included several civilians who testified against Van Dyke for misconduct and aggravation, including one man who claimed the officer had pointed a gun to his head and used racial slurs after pulling him over in 2005. Van Dyke's attorney, however, claimed there was no mention of the accusations in the complaint he filed against the officer at the time. Van Dyke's teen daughter took the stand for the defense, and reportedly said her heart was "ripped out of her chest" when she heard his guilty verdict. The day prior to Van Dyke's sentencing, three Chicago cops who were accused of obstruction of justice, official misconduct, and conspiracy were found not guilty on all counts. Prosecutors argued that reports filed by officer Thomas Gaffney, former officer Joseph Walsh, and former detective David March contained falsified evidence in an attempt to help cover for Van Dyke. Officers Walsh and Gaffney resigned from the Chicago Police Department before the murder trial began.